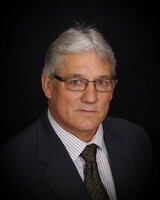 A graduate member of the Tomahawk High School Class of 1967, active in football, basketball, track and baseball. Craig was more than just a participant in four sports and his competitive side helped him to earn three letters in football and track and two in both basketball and baseball for a total of ten letters. Craig earned five All Conference honors. He was All Conference Honorable Mention in football as a junior along with All Conference honors as a senior. In basketball, he was All Conference Honorable Mention his senior year. He maintained his All Conference status in track where he was All Conference Honorable Mention his sophomore year as a member of the mile relay and First Team All Conference in the long jump as a senior. It was track accomplishments where Craig left his mark at the state level since he placed second in the state long jump competition with a jump of 21’ 8 ¾”. This effort led to a Tomahawk school record in the long jump. Four sports, ten letters, five All Conference honors, and two trips to state in track were but a few of the honors for Craig. In football, he played on the JV team as a freshman, he was a two way starter as a sophomore and he was co-captain as a senior. As a basketball player, he was voted most valuable his freshmen year and he placed sixth in conference scoring as a senior. He was awarded the outstanding senior athlete award in 1967. Craig attended UW-Superior where he earned a teaching degree in math and physical education. Along with this degree, he was a four year letterman in football earning All Conference Honorable Mention his junior season and unanimous All Conference Linebacker as a senior. In addition to these awards, he was co-captain in football as a junior and senior and he was selected Most Valuable Defensive Player for UW-Superior in his final season. Craig was also a two year letterman in track earning All Conference Honorable Mention in the triple jump his sophomore year. This too was a UW-Superior school record back in 1969. Upon completing his teaching degree, Craig taught at Stanley Boyd for six years before moving to Mosinee where he has taught math for the past 31 years. He has also coached a total of sixty seasons of sports for Mosinee.